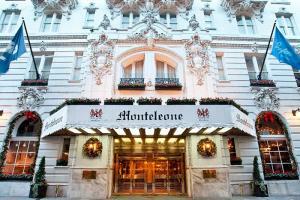 Since 1886, the Hotel Monteleone has proudly stood as one of the first landmarks in the world-famous French Quarter. Featuring 600 luxurious guestrooms and 55 suites, the Hotel Monteleone is within walking distance of some of New Orleans’ most famous attractions and restaurants. Located on Royal Street, in the French Quarter of New Orleans.